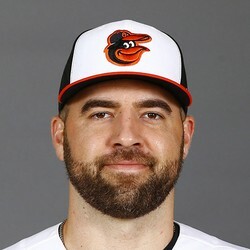 Nate Karns has been placed on IL by the Orioles on Tuesday. RHP Evan Phillips will be called up from Triple-A Norfolk to fill the void in the Baltimore bullpen. Karns hits the IL after a solid start to the 2019 season. In 5.1 innings pitched this year, the 31-year old had five strikeouts, three walks and no earned runs. With Phillips being called up as Karns' fill-in, he brings 11.2 career innings pitched along with a 13.11 ERA, 1.97 WHIP, 10 walks and eight strikeouts.